AV-Comparatives is an independent test lab, providing rigorous testing of security software products. We were founded in 2004 and are based in Innsbruck, Austria. AV-Comparatives is an ISO 9001:2015 certified organisation (renewed and upgraded in 2016). We received the TÜV Austria certificate for our management system for the scope: “Independent Tests of Anti-Virus Software”. 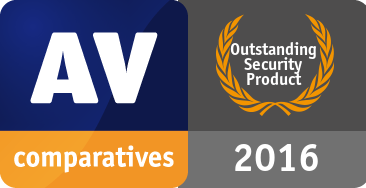 At the end of every year, AV-Comparatives releases a summary report to comment on the various anti-virus products tested over the year, and to highlight the high-scoring products of the various tests that took place over the course of the year. Please bear in mind that this report looks at all the comparative tests of 2016, i.e. not just the latest ones. Comments and conclusions are based on the results shown in the various comparative test reports of AV-Comparatives, as well as from observations made during the tests (http://www.av-comparatives.org/test-methods/). The following vendors participated in AV-Comparatives’ Public Main Test-Series of 2016 and agreed to have the effectiveness of their products independently evaluated. We are happy that this year’s tests helped several vendors to find critical and other bugs in their software, and that this has contributed to improving the products. The products of all the 19 vendors above are AV-Comparatives 2016 Approved Windows Security Products. 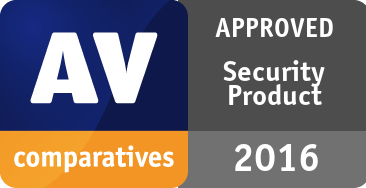 In 2016, AV-Comparatives subjected 19 security products for Windows to rigorous investigation. All the programs were tested for their ability to protect against real-world Internet threats, identify thousands of recent malicious programs, provide protection without slowing down the PC, and remove malware that had already infected a PC. Whilst all of the programs in our test reached an acceptable level overall, some programs outperformed others. For details, please see “Overview of levels reached during 2016” on page 9. In order to recognise those products that achieve outstanding scores in our tests, we have given a number of end-of-year awards that highlight the best results in each test and overall. The Product of the Year, Outstanding Product and Top Rated awards are based on overall performance in the Public Main Test Series; there are also Gold, Silver and Bronze awards for each individual test type. Please see the Award Winners section for more details of the awards. The 2016 Product of the Year Award goes to Avira; Outstanding Product Awards go to (alphabetically) Bitdefender and Kaspersky Lab; Top Rated Products are (alphabetically) Emsisoft, ESET, Tencent and ThreatTrack. 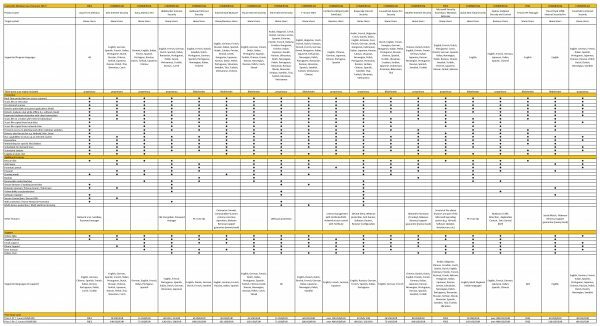 Here we provide a summary for each of the programs tested, with a note of each one’s successes during the year. Although the user interface does not affect any awards, we have noted some of the best UI features as well. Avast won three Advanced+ awards in this year’s tests. It took joint Silver in the Performance Test. The program is quick and easy to install, and simple to use. AVG received 4 Advanced+ awards in this year’s tests. It wins the joint Gold Award for Malware Removal, and joint Bronze Award for the Real-World Protection Test. We liked its clear and persistent malware alerts. Avira is Product of the Year this year, receiving Advanced+ awards in all 7 tests. It wins joint Gold Awards for the File Detection and Performance Tests, Silver for the Malware Removal Test, and joint Silver for the Real-World Protection Test. The menu panel on the left-hand side of the window provides easy access to all the program’s features. Bitdefender is an Outstanding Product this year, with joint highest scores overall. It wins the Gold Award for the Real-World Protection Test, joint Silver for Performance, File Detection and False Positives,and the Bronze Award for Malware Removal. The very modern interface design is consistent with that found in mobile devices. BullGuard received three Advanced+ awards in 2016’s tests. It took the joint Silver Award for False Positives and File Detection. Malware alerts are informative and persistent, and the tiled interface provides easy access to individual components. Emsisoft is a Top Rated Product this year, with four Advanced+ awards. It wins a joint Silver Award for File Detection, and joint Bronze for Performance. We liked its informative setup wizard, and the very clean and modern interface design. eScan received an Advanced+ award in three tests this year. It wins joint Silver Awards for File Detection and False Positives. Its tiled interface provides easy access to individual components, and status information about each one. ESET received four Advanced+ awards this year, and is once again a Top Rated Product. It wins joint Gold Awards for False Positives and Performance. The program interface is very clean and easily accessible, and help facilities are excellent. Fortinet received one Advanced+ award this year. Its user interface is business-oriented but straightforward. F-Secure reached Advanced+ level in three of our main tests this year. It wins a joint Silver Award for File Detection. We liked its clear and persistent malware alerts. Kaspersky Lab is an Outstanding Product this year, having received Advanced+ awards in all of the year’s tests. It also wins joint Gold in the File Detection and Malware Removal Tests, joint Silver in the Real-World Protection Test, and joint Bronze in the False Positives and Performance Tests. We especially liked its automatic software updater. Lavasoft received three Advanced+ awards in 2016. It receives a Bronze Award for File Detection and joint Bronze for False Positives. The program window is very clear, and the manual is comprehensive, clearly laid-out and well-illustrated. McAfee received two Advanced+ awards this year. It also takes a joint Bronze Award for False Positives. The Navigation Center provides an at-a-glance view of all its features. Microsoft’s built-in security product served as baseline. It received awards in five tests this year. Its simple design makes it very easy to use. Quick Heal received four Advanced+ awards in this year’s tests. It also takes a joint Silver Award for File Detection. 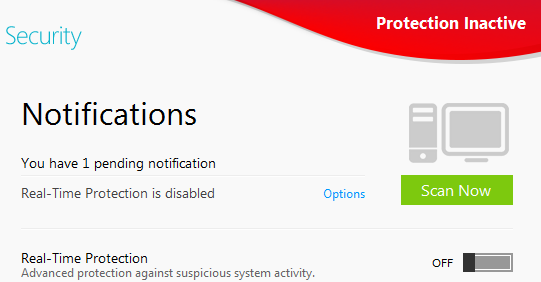 Its status report and malware alerts are very clear. Sophos received an award in all the Main-Series Tests this year. It takes a joint Silver Award for False Positives. Its user interface is straightforward, although oriented towards business use. Tencent is a Top-Rated Product this year, with 5 Advanced+ awards in the tests. It wins a joint Gold Award for Malware Removal, and a joint Silver Award for File Detection. Malware alerts are very obvious, and are displayed until you close them. Threat Track VIPRE is a Top-Rated Product in 2016, receiving 5 Advanced+ awards in the tests. It receives a joint Bronze Award for the Real-World Protection Test. The user interface is very clean and modern. Trend Micro received awards in all of this year’s tests. It wins a joint Gold Award for False Positives. The malware and status alerts are very clear, and persistent. There is no such thing as the perfect security program, or the best one for all needs and every user. Being recognized as “Product of the Year” does not mean that a program is the “best” in all cases and for everyone: it only means that its overall performance in our tests throughout the year was consistent and unbeaten. Before selecting a security product, please visit the vendor’s website and evaluate their software by downloading a trial version. Our awards are based on test results only and do not consider other factors, as there are some important factors (such as available interface languages, price, and support options), which you should evaluate for yourself. AV-Comparatives provides a wide range of tests and reviews in comprehensive reports (http://www.av-comparatives.org/comparatives-reviews/). Annual awards for 2016 are based on the Public Main Test-Series: Real-World Protection Test, Performance Test, File Detection Test, False-Alarm Test and Malware Removal Test. All the programs tested are from the reputable and reliable manufacturers. Please note that even the STANDARD level/award requires a program reach a good standard, although it indicates areas which need further improvement compared to other products. ADVANCED indicates areas which may need some improvement, but are already very competent. Below is an overview of awards reached by the various anti-virus products in AV-Comparatives’ main test-series of 2016. For each of the test types* in the Public Main Test Series (Real-World Protection, File Detection, Performance, Malware Removal, and False Positives**), we give Gold, Silver and Bronze awards, for the first, second and third highest-scoring products, respectively. Results from all the tests are assigned points as follows: Tested = 0, Standard = 5, Advanced = 10, Advanced+ = 15. Products with 90 points or more are given the Top Rated award, with two conditions. Firstly, any products that failed to win any award (i.e. got 0 points) in either of the Real-World Protection tests have not been considered. Secondly, good results in the Performance Tests cannot make up for weak results in the detection/protection tests. To get the Approved Windows Security Product Award, at least 35 points must be reached. *For some test types, there may be two actual tests conducted in a year; the awards are based on the combined score of both tests. **The False Positives Test is not an independent test, but part of the File Detection Test. As in previous years, in 2016 we are giving our Product of the Year Award to the product with the highest overall scores across all of the tests in the Public Main Test Series. This depends on the number of Advanced+ awards received in all the tests. As all products receiving an Advanced+ award are considered (statistically speaking) to be as good as each other, a product can receive the Product of the Year award without necessarily reaching the highest score in any individual test. AV-Comparatives’ 2016 Product of the Year award goes to Avira. As in previous years, where there has been a tie for Product of the Year, we are using the following tiebreaker: the product that has not won the award before, or the product that won it less/least recently, is given the award. However, there it is very close competition between three different products this year, all of which received the Advanced+ Award in all of the qualifying tests. Consequently, we are introducing the Outstanding Product Award, which we are giving to the two other products that also achieved top scores. As in previous years, we will also be giving Top Rated Awards to a select group of participating products which reached a very high standard in the Public Main Series tests. We have used the results over the year to designate products as “Top Rated”. Security products include various different features to protect systems against malware. Such protection features are taken into account in the Whole-Product Dynamic “Real-World” Protection tests, which test products under real-world conditions. Products must provide a high level of protection without producing too many false alarms, and without requiring the user to make many decisions. The programs with the best overall results over the course of the year are: Bitdefender, Avira, Kaspersky Lab, ThreatTrack and AVG. The File Detection Test evaluates the static file scanning engine component, which is one subset of the protection features provided by security products. A high detection rate of malware – without causing too many false alarms – is, depending on the situation, one of the most important, deterministic and reliable features of an anti-virus product (as e.g. it is not heavily dependent on infection vectors or other factors). Avira, Bitdefender, BullGuard, Emsisoft, eScan, F-Secure, Kaspersky Lab, Quick Heal, Tencent and Kaspersky Lab earned ADVANCED+ in both tests. Avira and Kaspersky Lab scored over 99.9% both times. False positives can cause as much trouble as a real infection. Due to this, it is important that anti-virus products undergo stringent quality assurance testing before release to the public, in order to avoid false positives. AV-Comparatives carry out extensive false-positive testing as part of the File Detection Tests. The products with the lowest rates of false positives during 2016 were ESET, Trend Micro (0), Bitdefender, BullGuard, eScan, Sophos (5) and Kaspersky lab, Lavasoft, McAfee (6). These figures represent the SUM of the false positives from both FP Tests. Security products must remain turned on under all circumstances, while users are performing their usual computing tasks. Some products may have a higher impact than others on system performance while performing some tasks. Avast, AVIRA, Bitdefender, Emsisoft, ESET and Kaspersky Lab demonstrated a lower impact on system performance than other products. A very useful ability for an anti-virus program is the ability to remove malware which has already infected a system. For our 2016 Summary Report, we have tried to make the User-Experience Review more accessible to the average computer user, by explaining some technical terms and providing a glossary. The specific points we have looked at for each of the programs in the review are as follows. Which versions of Windows does it work with? We list the versions of Windows – e.g. Windows Vista, Windows 7, Windows 8, Windows 10 – that the manufacturer supports, i.e. guarantees that the product will work with. 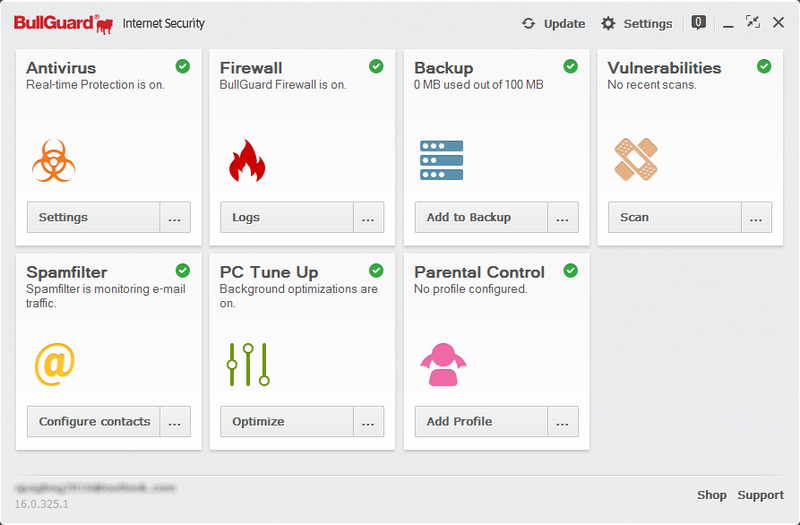 Some of the programs we review have additional features, such as parental controls or a replacement firewall, which we list here. Please note that none of these are relevant to our malware-protection or performance tests, and we have not included any details of them in this review. We provide a link to the product page on the manufacturer’s website, so you can find out more about it. Here we list the design and functionality elements that we thought were particularly good in the product. Having tried the product out, we list any useful hints that we think might help readers to use the program. Here we list any decisions that you have to make when installing the program, e.g. whether you want it to detect potentially unwanted programs. How does the program warn you about problems and threats? In this section we note how the program warns you if real-time protection is disabled, and how to reactivate it. 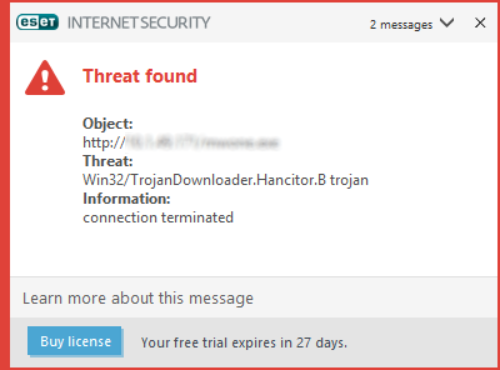 We show an example malware alert. Please note that many antivirus programs display a variety of malware alerts, depending on the type of threat and the way it is encountered (download, USB stick etc.). The alert shown in the review is thus just one example, and other alerts might be displayed in different circumstances. 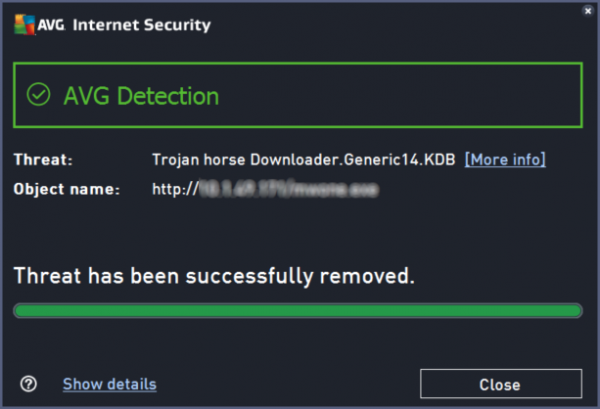 We also tell you how the program will alert you if it detects a potentially unwanted program. 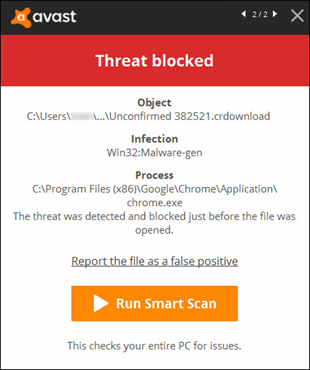 To provoke the malware detection alert, we used a common malware sample (malicious program) that we know the antivirus program will recognise. To provoke warnings for potentially unwanted programs, we used the AMTSO Potentially Unwanted Applications Test File. What are the program’s help features like? Here we list the program’s help features, such as built-in help files, user manuals, and online knowledge bases. 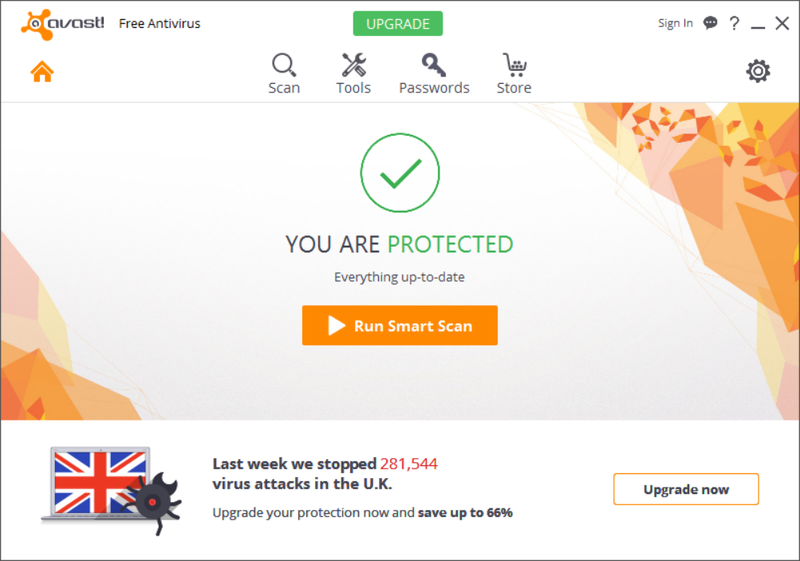 Avast Free Antivirus includes a password manager. For full details of all the features included in the product, please click the link to the product’s web page below. Installing the program is very quick and easy. 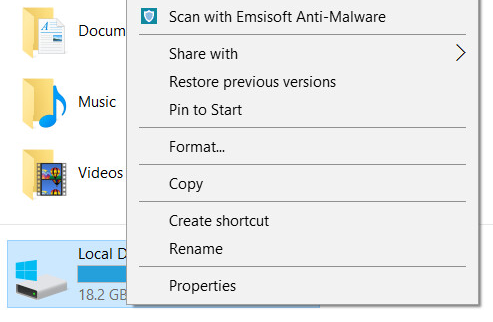 If you want to run a manual update of malware definitions, you have to click on the cogwheel in the top right-hand corner of the window; the update function can be found in the settings. To install Avast Free Antivirus, you just download and run the installer program, then click Install. There are no decisions to make. 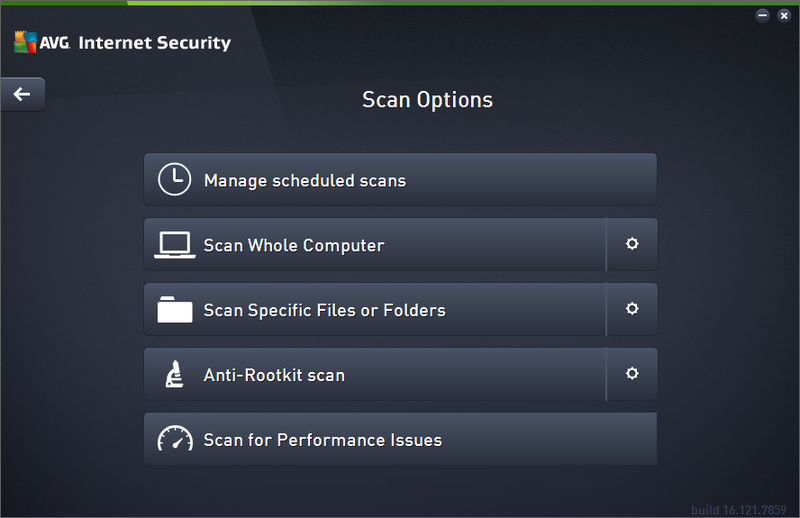 We could not find a way to schedule a scan with Avast Free Antivirus. Update: to manually update malware definitions, you have to click the cogwheel icons (settings), then click Update, Update. Subscription information: this is not applicable, as the program is free. Help: you can open this by clicking the ? symbol in the top right-hand corner of the window. The protection can be reactivated by clicking either Turn on or Resolve all. The alert closes after about 30 seconds. You do not need to do anything. 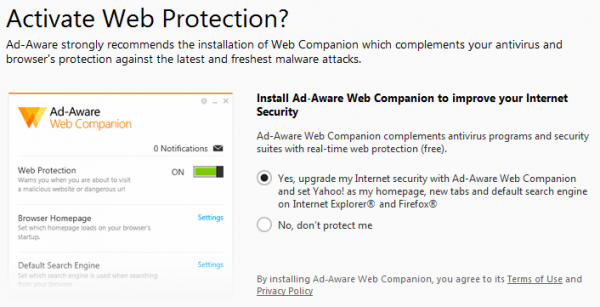 By default, Avast Free Antivirus does not detct potentially unwanted programs. However, you can switch this option on in the settings. 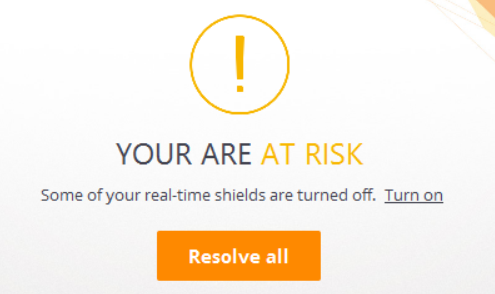 If you do this, Avast shows a similar alert for PUPs to the malware alert above. There is also an online support service. In addition to malware protection, AVG Internet Security also includes a replacement firewall. For full details of all the features included in the product, please click the link to the product’s web page below. 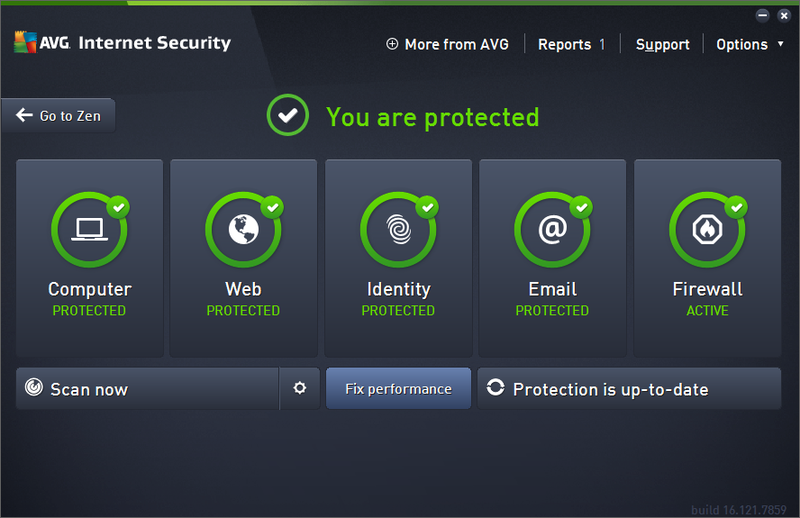 AVG Internet Security makes the most important functions (status, update and scan) very easy to find. The status display warns effectively if protection is disabled, and makes it very easy to reactivate it. Malware warnings are clear, and stay open until you close them, giving you time to read them. The help feature is good. Both the AVG icon on the Desktop and the System Tray icon open the AVG Zen window (see Notes below). The main program window can be accessed directly from the Windows Start Menu, and then pinned to the Windows Taskbar for easy access. To install the program, you just need to download and run the installer file from the AVG website and click Install Now. There is an option to create an AVG account to manage your protected devices, but you can skip this and create the account later if you want. 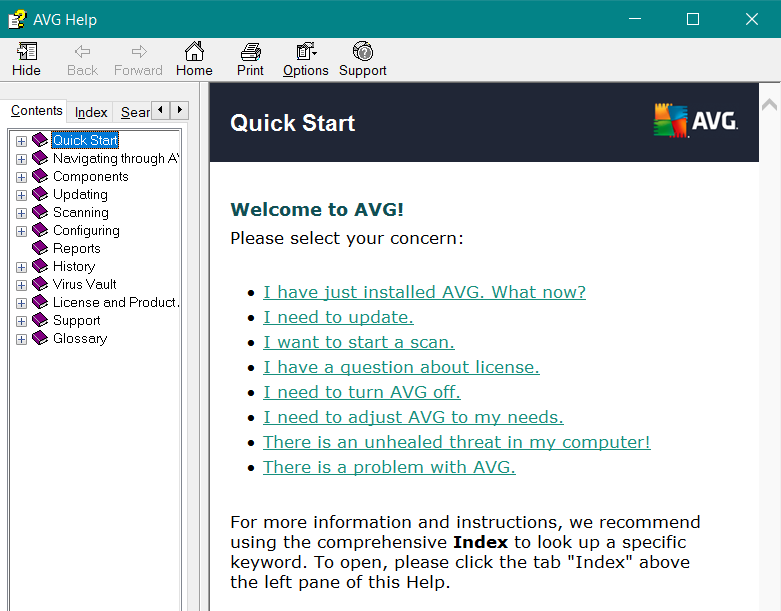 At the end of the installation, a dialog box will ask if you want to install AVG Web TuneUp, which will change your home page and search engine; you can accept or decline. Update: You can run a manual update by clicking Protection is up to date in the main window (the caption will change if signatures are significantly out of date). Subscription information: We could not find a means of accessing subscription information from the program window; you have to log on to your AVG account to see it. Help: You can open the program’s help feature by clicking the Options menu in the top right-hand corner of the main window, then clicking Help contents. 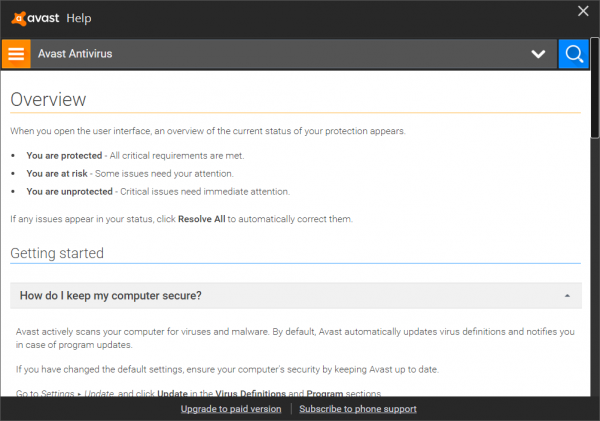 The protection can be reactivated by clicking the Fix Now button. The alert is displayed until you close it. You do not need to take any action. A similar alert is shown for potentially unwanted programs. 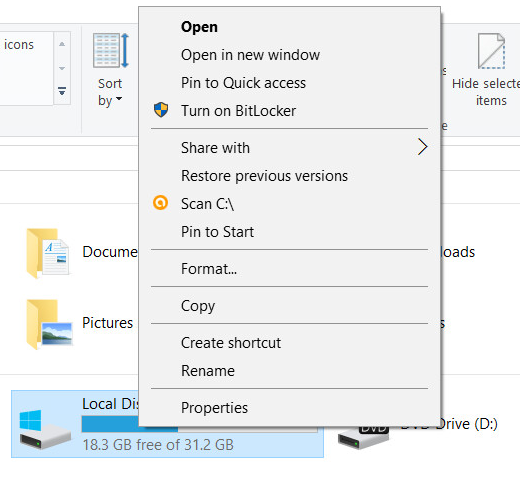 Clicking Help contents in the Options menu shows the local help window. This opens with an FAQ page, and has links to articles on various components and tasks. Instructions are short and simple, with a few screenshots. Avira Antivirus Pro is a straightforward antivirus program. It does not include a replacement firewall but lets you control Windows Firewall from its program window. 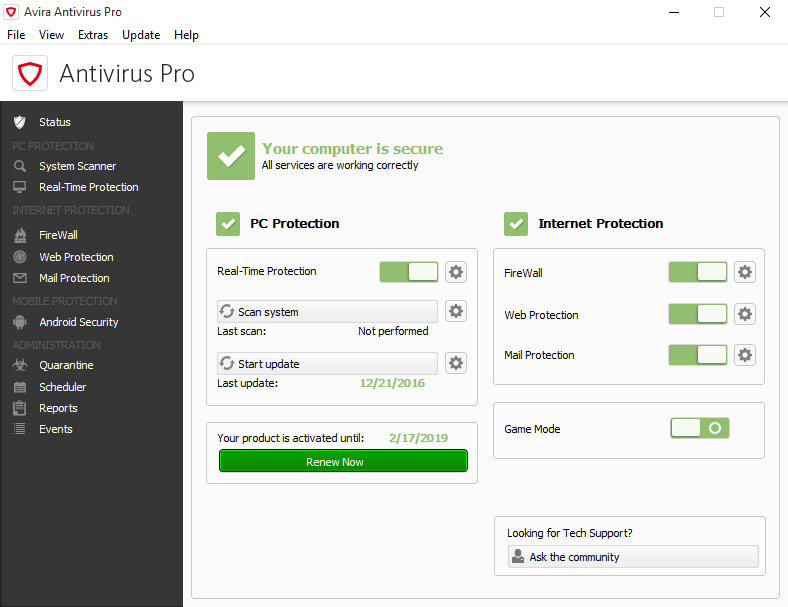 Avira Antivirus Pro is very simple to install. The main program window makes it easy to find all the important features and information. Installing the separate Browser Safety component enables search ratings, plus protection against phishing pages, malicious search engines and other malicious URLs. To install Avira Antivirus Pro, you just need to download the installer file from the Avira website and run it. There are no choices to be made. Options to install other Avira products are displayed during setup, but you can just ignore these if you want. 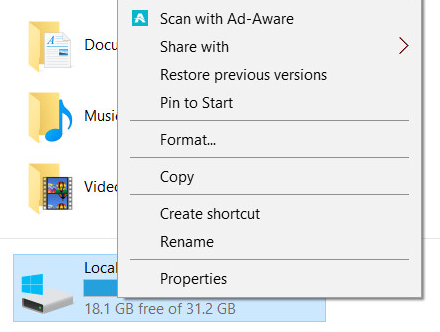 Help: you can find this by clicking the Help menu at the top of the window, then Overview. The protection can be reactivated by clicking Fix problem. 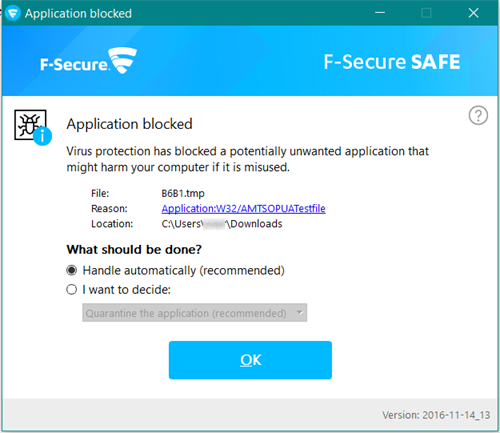 You do not need to do anything, as the malicious program has been blocked automatically. . A similar alert is shown for potentially unwanted programs. Clicking Take me away! opens Avira’s safe search page instead. In addition to protection against malware, Bitdefender Internet Security provides an antispam feature, a firewall, parental controls, file encryption and secure data deletion. For full details of all the features included in the product, please click the link to the product’s web page below. 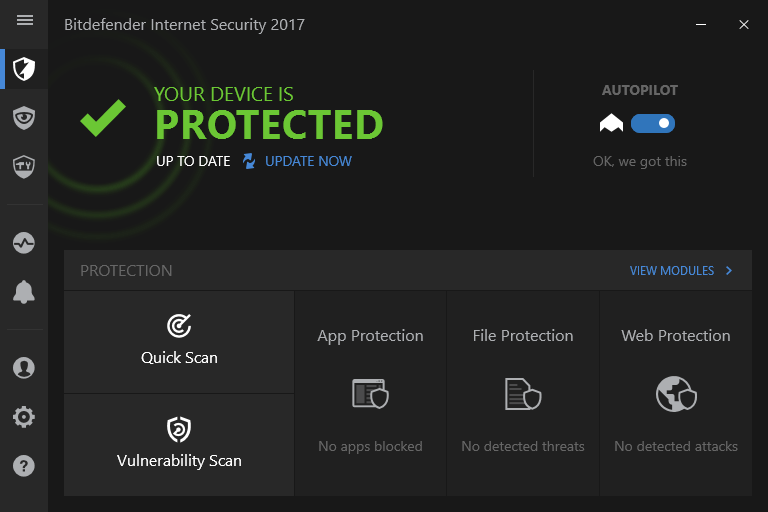 Bitdefender Internet Security 2017 has a very modern interface, similar to those found in mobile phones and tablets. This makes the program window very clean and uncluttered, and means that it can be used easily on a touchscreen device. If you are used to using (e.g.) an iPad or Android phone, you should find it very easy to navigate your way around the program. If the program’s security status shows a problem, you can fix it by clicking on the warning itself. 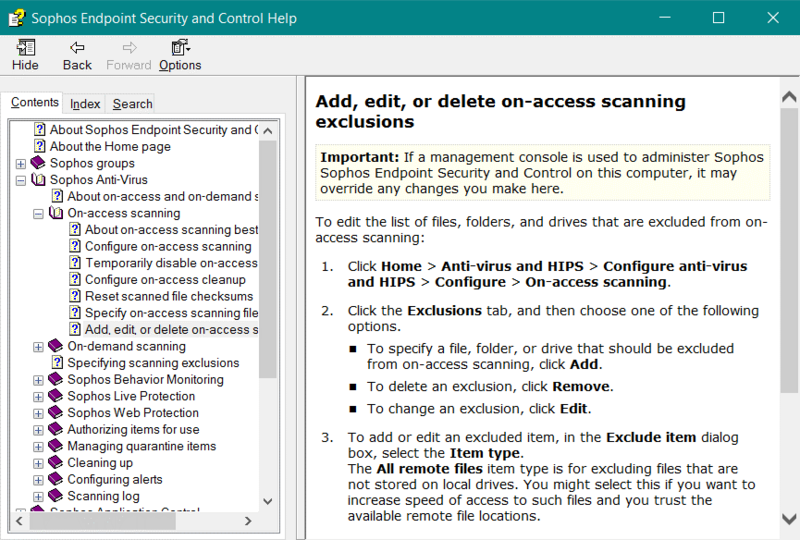 You can find advanced antimalware features, and other functions such as the firewall, by clicking View Modules on the right-hand side of the window. 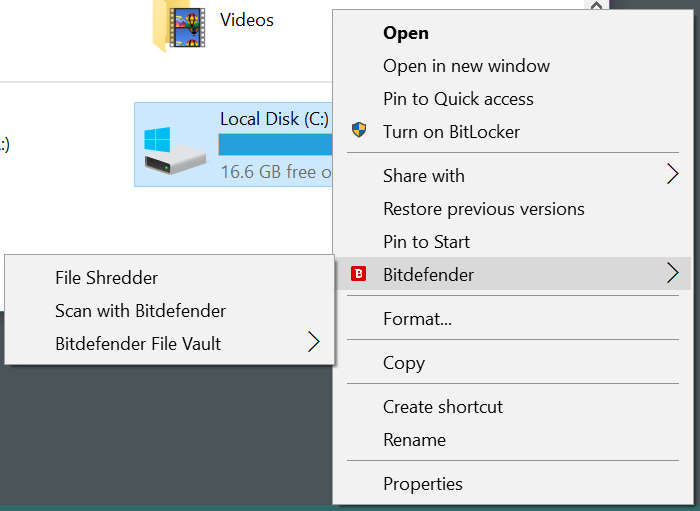 To install Bitdefender Internet Security, you just need to download and run the installer. When setup is complete, you have to create a Bitdefender account, or sign in if you already have one. 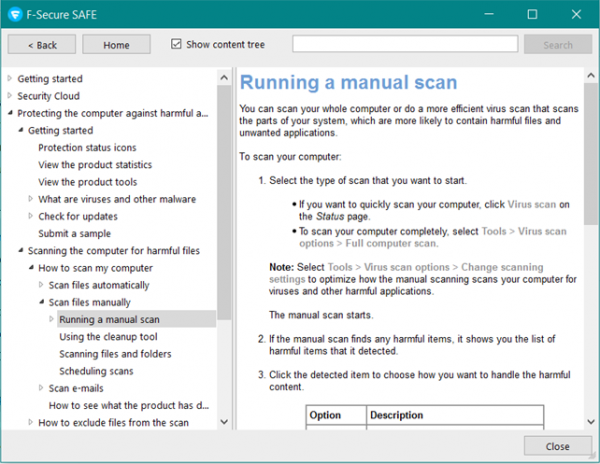 To run a full or scheduled scan, you need to click on the View Modules link on the right-hand side of the window, and then click System Scan to scan the whole computer, or Manage Scans to set up a scheduled scan. Update: there is an Update Now button under the status display. Subscription information: you can see this by clicking on the Account button in the menu panel on the left. Help: If you click on the ? symbol in the menu panel (Support) and then Product Documentation, the program’s online help pages will open. The protection can be reactivated by clicking on the red text and then Fix, or by switching Autopilot (button to the right) on. The alert disappears after about half a minute. You do not need to do anything. You cannot make a mistake here, as none of the options allows the potentially unwanted program to run. Clicking on Learn more opens a page of the Bitdefender website that explains what PUPs are. 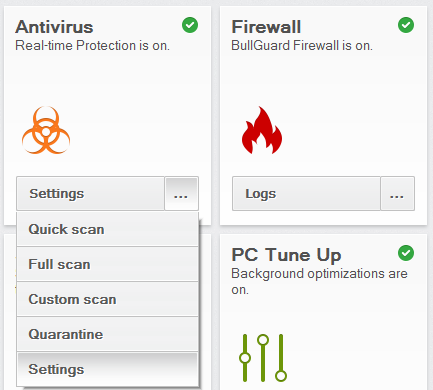 In addition to malware protection, BullGuard Internet Security provides a firewall, spam filter, backup and parental controls. For full details of all the features included in the product, please click the link to the product’s web page below. 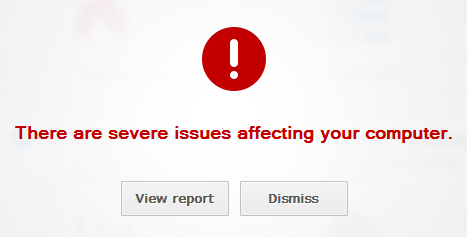 The malware alerts are informative and persist until you close them, giving you time to read them. The tiled home screen provides easy access to each of the individual components. The … button at the bottom right of every tile displays a menu of actions for that component. 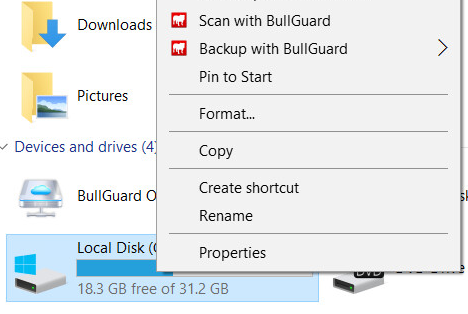 To install BullGuard Internet Security, you just need to download and run the installer program. There are no decisions to make. If all is well, the status is only shown for 2 seconds, after which the tiled homepage is displayed. Additionally, the status of each of the individual components is shown as a symbol in the top right-hand corner of their respective tiles on the home page. We could not find a means of scheduling a scan. Subscription information: You have to log in to your online BullGuard account to find this. Help: If you click the Support link in the bottom right-hand corner of the window, the support page of the BullGuard website opens in your browser. You do not need to take any action. The alert persists until you close it. A similar alert is shown for potentially unwanted programs. The online help pages provide comprehensive instructions for using the program’s features, well illustrated with screenshots. Emsisoft Anti-Malware is a straightforward antivirus program. For full details of all the features included in the product, please click the link to the product’s web page below. The setup wizard explains potentially unwanted programs very nicely with the screenshot of a browser laden with unwanted toolbars, and the simple tutorial at the end also makes sense to us. The program interface has a very modern design and makes essential features easy to find. 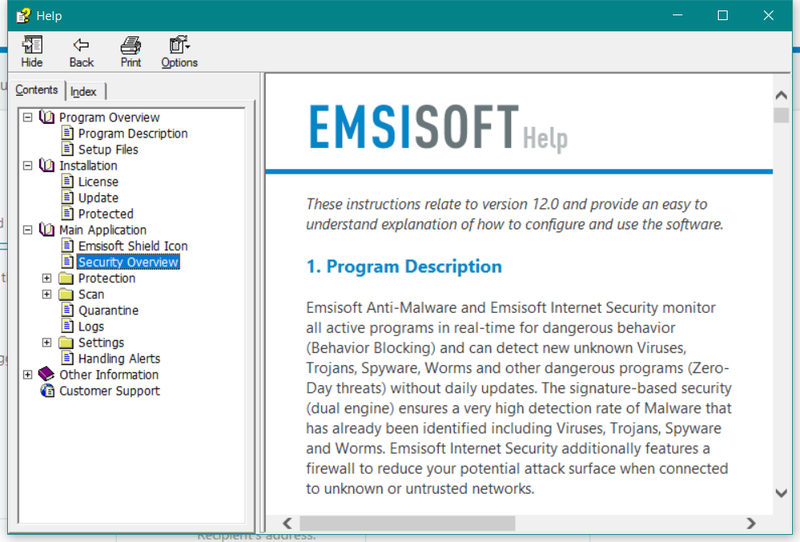 The Emsisoft News strip along the bottom shows links to online articles by Emsisoft, which include some general security advice. There are two choices to be made during setup. The first is whether to join the Emsisoft Anti-Malware Network (data-sharing scheme), the second is whether to detect potentially unwanted programs. In both cases, clear explanations are given as to what is involved. 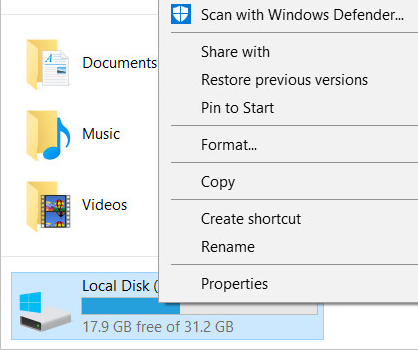 There is a short tutorial at the end of the setup wizard which explains how to scan drives, and how to check that real-time protection is active. 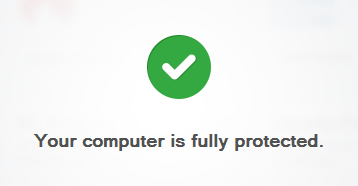 Security status: This is shown in the Protection box on the left-hand side of the program window. Update: these can be run from the Updates box on the home screen. Subscription information: this is shown on the home screen below the scan options. Help: the local help service can be opened from the ? symbol in the top right-hand corner of the program window. The protection can be reactivated by clicking on the affected component (File Guard) and checking the Activate File Guard box. The alert is displayed for about 10 seconds. You do not need to take any action. The dialog box is shown until you click on one of the options. There is also a forum on the Emsisoft website. As well as malware protection, eScan Internet Security includes a firewall and parental controls. For full details of all the features included in the product, please click the link to the product’s web page below. 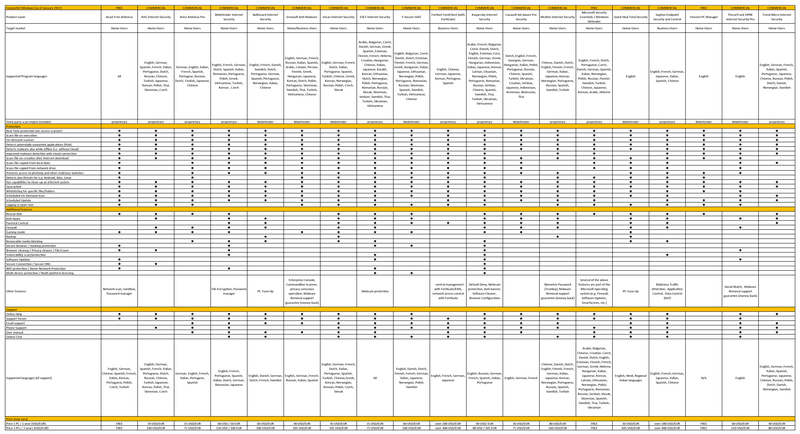 The tiled interface provides a clear overview of the program’s components and their status. Scan, update and help features are very easy to find, and there is a very comprehensive manual available. In our test, we found that eScan Internet Security shut itself down for a few seconds after installing an update, causing Windows so show an alert. However, the program restarts itself almost immediately, so there is no cause for concern. If you do not use a dedicated email program such as Outlook or Thunderbird, the mail anti-virus and anti-spam tiles will show up as Stopped in the program window. This does not mean there is anything wrong; it simply means they are not required. However, users should be careful to check that other components, such as file anti-virus and firewall, are shown as Started. If not, you need to click on the component’s tile and click Start on its settings page. To install eScan Internet Security, you download and run the installer file from the eScan website. You need to enter a licence key or click Trial, which lets you try the program for 30 days for free. 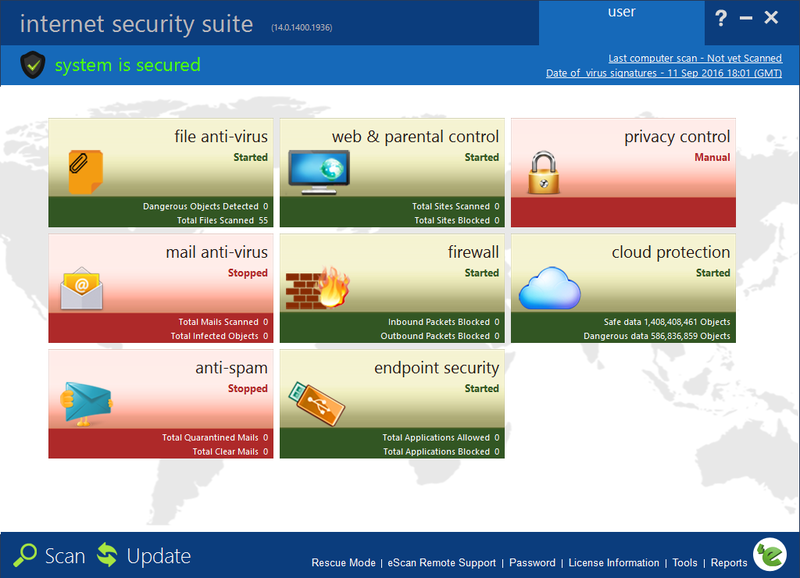 Security status: The status of each individual component (such as File Antivirus) is shown on its respective tile in the main program window. Update: There is an update button in the bottom left-hand corner of the window. Subscription information: you can find this by clicking License Information at the bottom of the window. Help: There is a big ? symbol in the top right-hand corner of the window, which displays various help and support options. 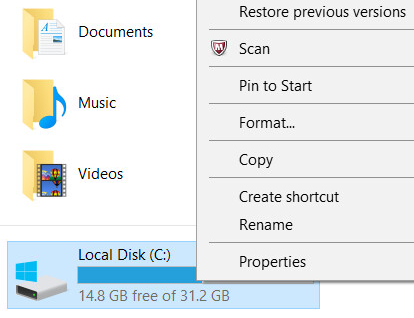 To reactivate the protection, click on the tile and then click Start. The alert closes automatically after 20 seconds. You do not need to take any action. 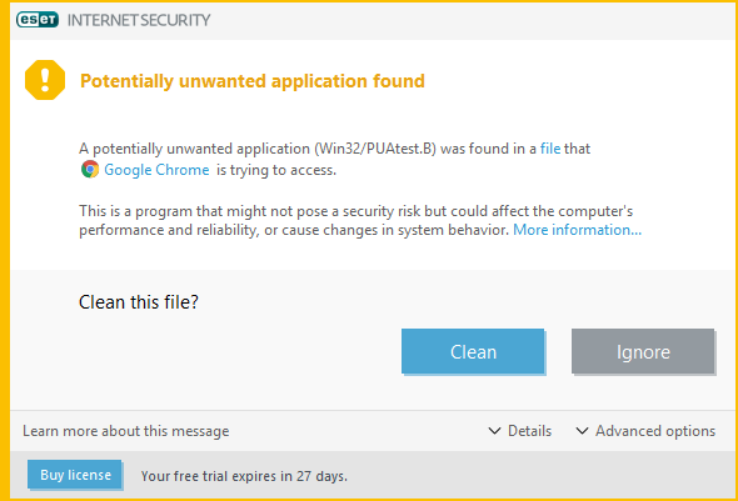 If you should download a potentially unwanted program, a very similar alert is shown. There is a comprehensive, well-illustrated 116-page manual in .PDF format, along with a searchable knowledge base, on the eScan website. As well as malware protection, ESET Internet Security includes a replacement firewall and parental controls. For full details of all the features included in the product, please click the link to the product’s web page below. 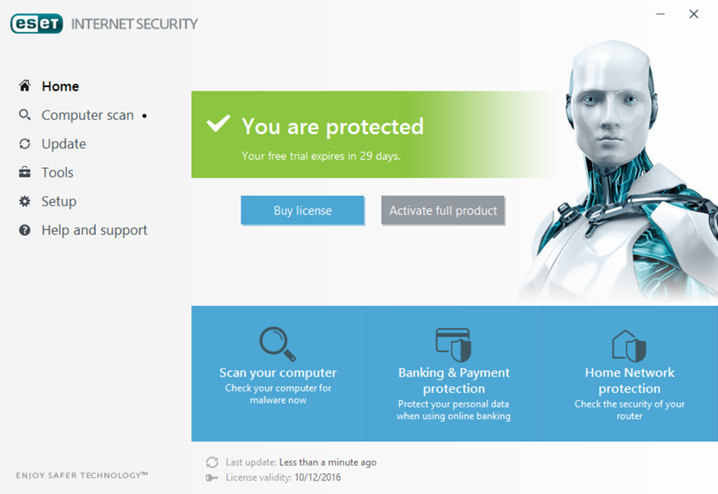 ESET Internet Security has a very simple, clean layout that makes it very easy to find all the important functions and information. Help facilities are outstanding, being very comprehensive and well produced. During the installation process, ESET Internet Security asks you to choose whether or not to detect potentially unwanted programs (PUPs). If you are not an expert, the safest course is to do so, and to click Clean when a PUP is detected. Security status: This is shown at the top of the program window. 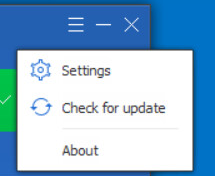 Update: There is an Update link in the menu panel on the left-hand side of the window. Subscription information: this is shown at the bottom of the window. Help: various help and support options can be found by clicking Help and support in the left-hand menu panel. 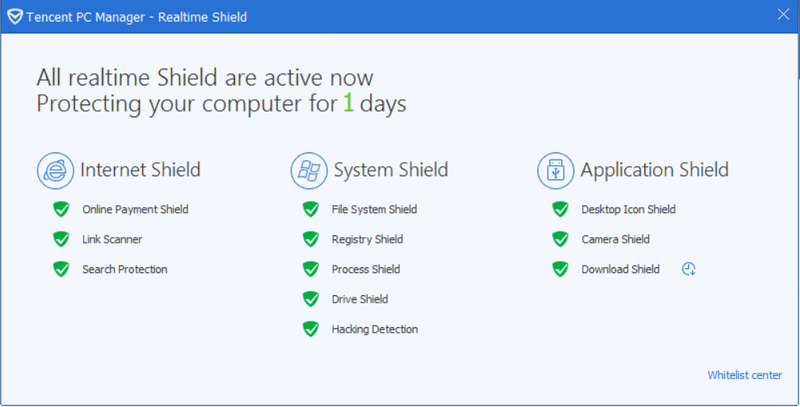 The protection can be reactivated by clicking Enable Antivirus and antispyware protection. The message closes automatically after about 10 seconds. You do not need to do anything. You need to decide whether or not you want to keep the program; the alert is shown until you click on either Clean or Ignore. Clicking Help and support, Open help in the program window opens ESET’s online help pages, which provide comprehensive, illustrated instructions for using the program. Two manuals are also available to download from the same page as the program installer. The concise Quick Start Guide and the comprehensive User Guide are both very clearly laid out and well illustrated with screenshots. Finally, there is a searchable knowledge base. 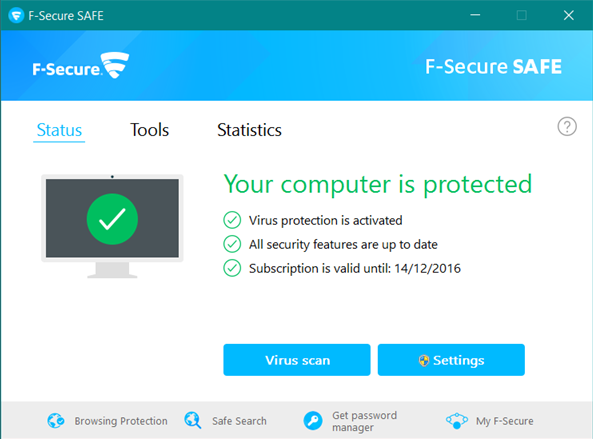 F-Secure SAFE is an antivirus program that includes a management interface for Windows Firewall. For full details of all the features included in the product, please click the link to the product’s web page below. F-Secure SAFE is straightforward to install and use. The malware detection alerts are very clear, and are displayed until you close them, giving you time to read the message. If a potentially unwanted program is detected, taking the default action (handle automatically) means you do not have to make a decision about whether the program is safe to run. To install F-Secure SAFE, you need to create an online account and log in. You then click Add device and Install on this device, which downloads the installer file. The setup wizard asks you to confirm the type of device you are using (e.g. Windows or Mac computer) and gives you the option of joining F-Secure’s Security Cloud data-sharing scheme. Security status: This is shown with text and a graphic in the main pane of the program window. Update: you can update malware signatures by clicking Tools, Check for updates. Subscription information: this is shown in the main pane of the program window. Help: clicking the ? symbol, then Help opens the local help feature. The protection can be reactivated by clicking Turn on. Clicking OK will let F-Secure take the recommended action. Alternatively, you can click I want to decide and choose to quarantine, delete or allow the file. The message box is displayed until you make a decision. There is also a searchable knowledge base on the F-Secure website. 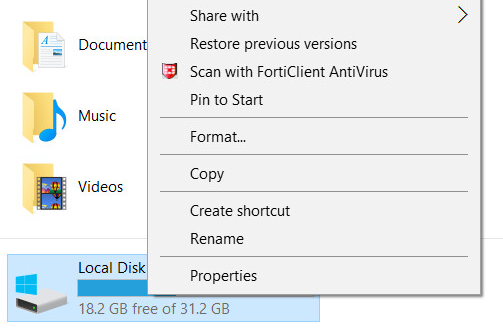 Fortinet FortiClient is an antivirus program with an optional VPN component. For full details of all the features included in the product, please click the link to the product’s web page below. 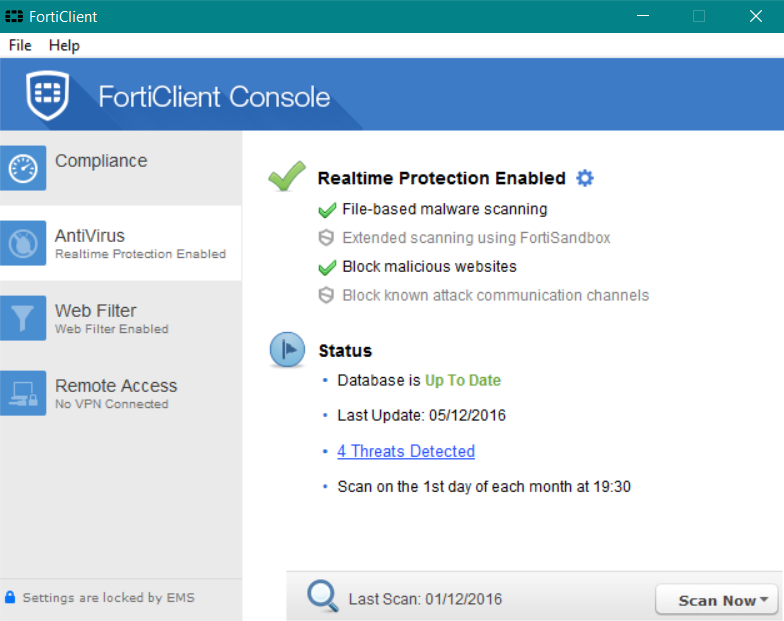 Fortinet FortiClient has all the essential features of a good antivirus program, and is simple to install and use. FortiClient is intended primarily for business use, and so may be different from consumer antivirus products in some aspects. This means that it is probably better suited to expert rather than non-expert home users. 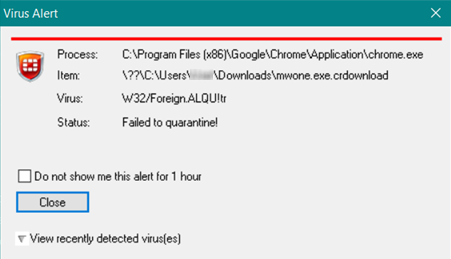 The alert shown when the program blocks a malware download states Failed to quarantine! – some uses may find this alarming. However, the program has deleted the malware and the system is safe. Installation involves downloading and running the installer file; an initial scan is run before setup starts. You need to accept the licence agreement, and click Complete in the installation-type dialog. Update: We could not find a means of manually updating the malware definitions (although these are updated automatically by the program). Help: Technical Documentation and Fortinet Knowledge Base can be found in the Help menu. The protection can be reactivated by clicking the cogwheel next to the status text, and then Scan files as they are downloaded or copied to my system. The warning is displayed until you click Close. You do not need to take any further action. In our test, FortiClient did not recognise the AMTSO Potentially Unwanted Application test file. There is a comprehensive manual and also a knowledge base. Both are very much aimed at system administrators in corporate IT environments rather than home users, in keeping with the business-oriented nature of the program. In addition to malware protection, Kaspersky Internet Security includes a replacement firewall, software updater, vulnerability scanner, VPN and parental controls. For full details of all the features included in the product, please click the link to the product’s web page below. 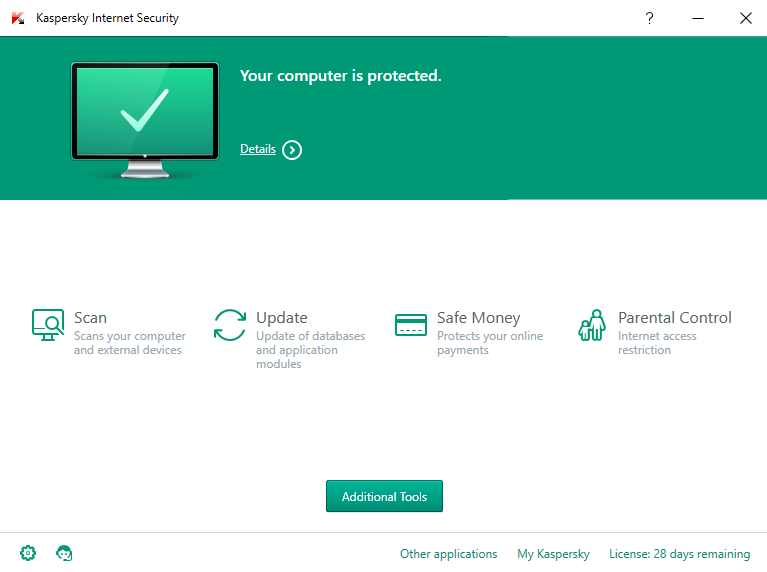 Kaspersky Internet Security has a very clean, modern interface that makes it very easy to access important features and information. The software updater is automatic and extremely easy to use. Using this feature helps to keep your computer secure. Kaspersky Internet Security does not detect potentially unwanted programs by default, but you can enable this function in the settings. 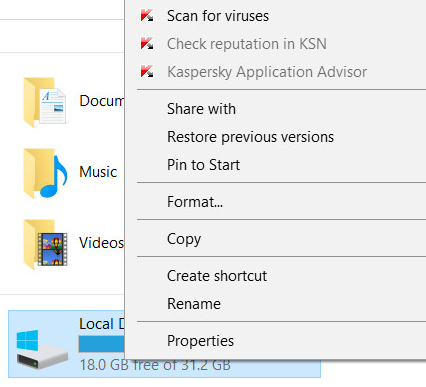 To install Kaspersky Internet Security, download and run the setup file; the only choice you have to make is whether to join the Kaspersky Security Network (data sharing scheme). When the program first starts, a short tour of the program’s features is offered, and there is an option to block unwanted software installations. Security status: this is shown at the top of the main program window. Update: there is a Database Update button in the main pane of the window. Subscription information: you can see this in the bottom right-hand corner of the program window. Help: you can get help for the program by clicking the ? symbol in the top right-hand corner of the window. The protection can be reactivated by clicking Details and then Enable. The alert closes after a few seconds. You do not need to take any action. Clicking the ? button opens the program’s online help pages. These provide simple text explanations of the program’s features, and instructions for using them. There is also a searchable knowledge base, which provides step-by-step instructions for common tasks, well illustrated with screenshots. XP (32-bit only); Vista, 7, 8, 8.1; at the time of writing, Windows 10 was not listed among the supported operating systems, but Ad-Aware Pro Security worked flawlessly on our Windows 10 64-bit test system. 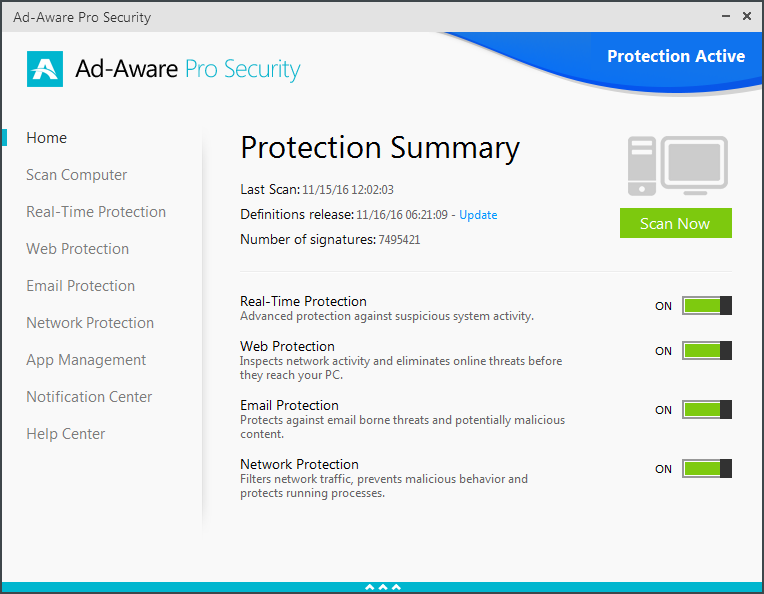 Lavasoft Ad-Aware Pro Security includes a replacement firewall as well malware protection. For full details of all the features included in the product, please click the link to the product’s web page below. The program window has a modern, clean design that makes components and settings very easy to access with a single click. The manual is comprehensive, clearly laid-out and well-illustrated. 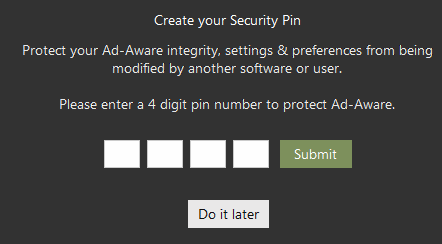 You can use a PIN to prevent unauthorised users from disabling the program. 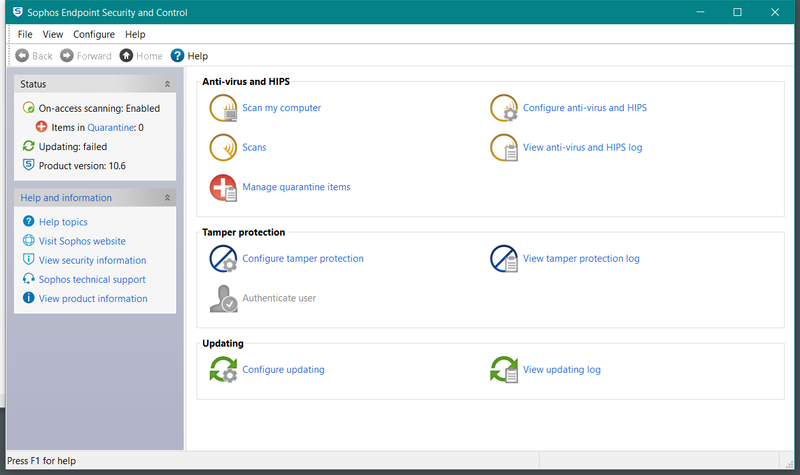 Security status: there is an overall status display in the top right-hand corner of the window, along with sliding switches for the individual components that show if they are active or not. Update: you can update the malware definitions by clicking the Update link underneath Protection Summary. Subscription information: you can see when your subscription expires by clicking App Management in the left-hand menu column. Help: clicking Help Center in the menu panel lets you access the product manual and FAQs. The protection can be reactivated by moving the slider switch to the right. There is a manual available to download from the Lavasoft website. A searchable FAQ page is also provided. 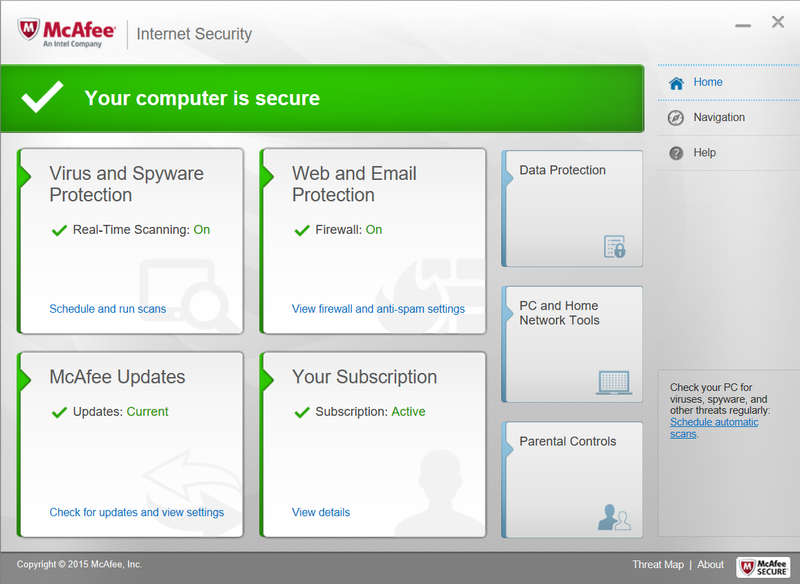 As well as malware protection, McAfee Internet Security includes a firewall and parental controls. For full details of all the features included in the product, please click the link to the product’s web page below. The tiled interface lets you get to the most important functions and information very easily, while the Navigation Center, described below, provides an at-a-glance view of everything else. When you have downloaded and started the installer file, the setup wizard runs a quick scan of your computer. Installation then proceeds. There are no decisions you have to make, but you need to create, or sign in with, a McAfee account at the end. 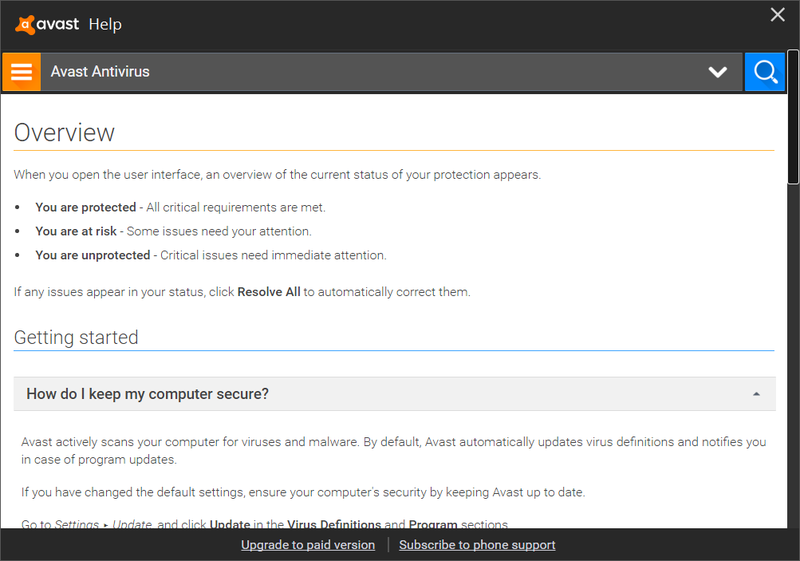 Update: manual updates can be run by clicking the McAfee Updates tile on the home page, then Check for Updates. Subscription information: you can find this by clicking the Your Subscription tile on the home page. Help: there is a Help button on the right-hand side of the window near the top. The message is shown for about 20 seconds. You do not have to take any action. This also remains until you click a button. Clicking OK will quarantine the program. Clicking Help, Help opens the program’s online support pages. 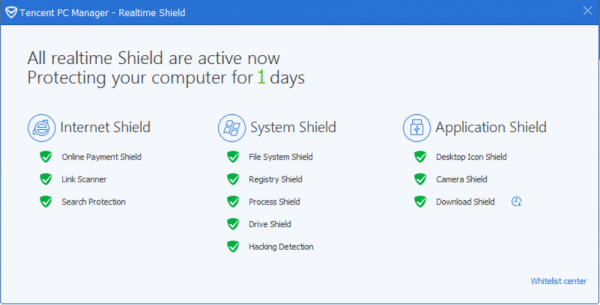 Windows Defender for Windows 10 is a straightforward antivirus program; Microsoft’s Windows Firewall is also integrated into the operating system. 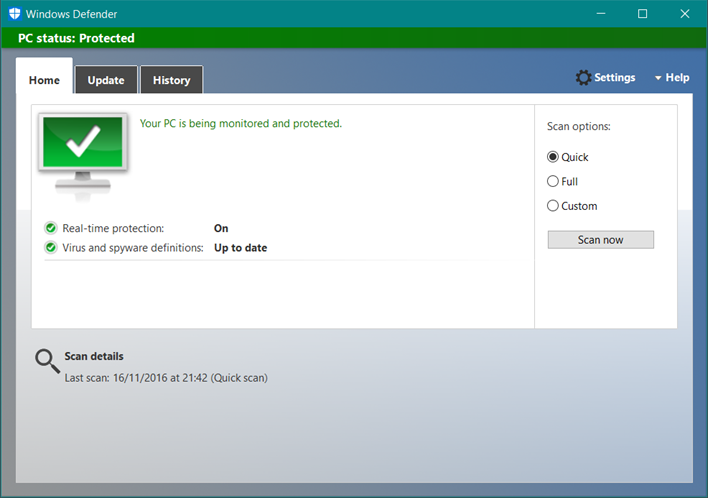 Windows Defender for Windows 10 has all the essential features of a good antivirus program in a very clear, simple interface. This review relates to Windows Defender for Windows 10, which is a complete anti-malware program built into the operating system. 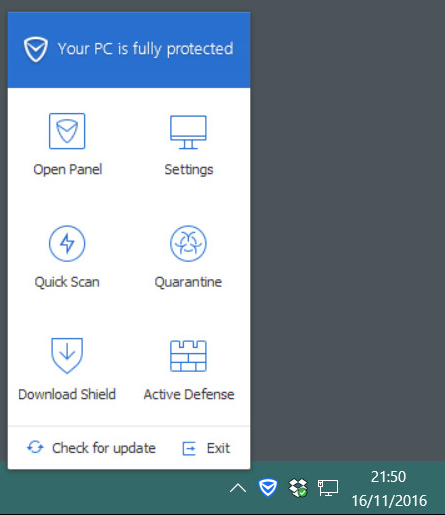 Windows 8 and 8.1 also include a similar complete antivirus program called Windows Defender. However, in Windows 7 and Windows Vista, the integrated program called “Windows Defender” is NOT a complete antimalware program; it only protects against adware and spyware, and should be supplemented by a full antivirus program. 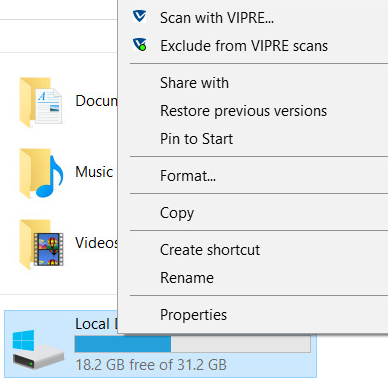 No installation is required, as the program is integrated into Windows 10. It can be activated or deactivated from Control Panel. Update: there is an Update tab at the top of the window. Help: there is a Help menu in the top right-hand corner of the window. The alert closes after a few seconds. You do not need to take any action. A similar alert is shown if the AMTSO Potentially Unwanted Application Test File is downloaded. A community-based support page is provided. 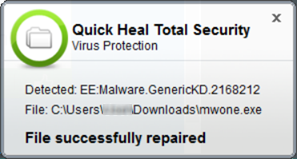 As well as malware protection, Quick Heal Total Security includes parental controls and a replacement firewall. 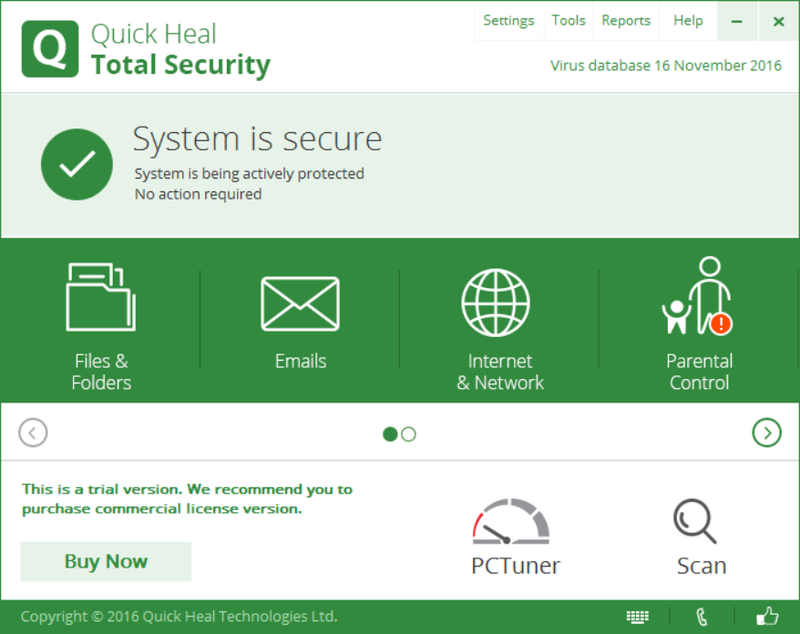 Quick Heal Total Security comes with a very clean and modern design that makes most features very easy to access. The status report and malware alerts are very clear. 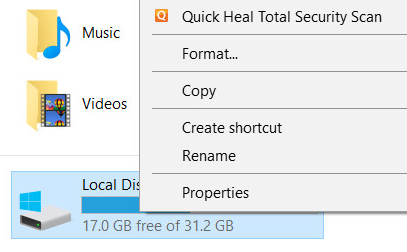 The file that you download from the Quick Heal website is not the installer file itself, but a downloader which downloads the installer to your Desktop. When this is done, the installer file starts the setup wizard after running a Quick Scan. 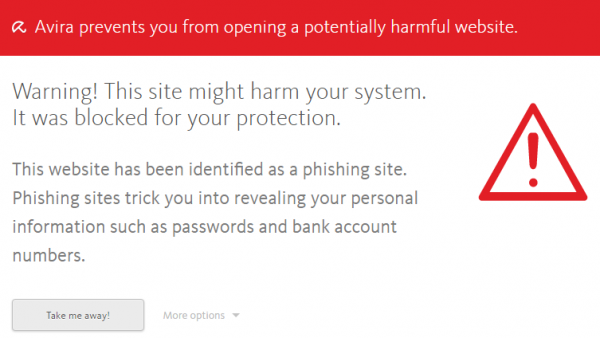 Pop-up messages display links to security-related articles on the Quick Heal website. There are no decisions you have to make to install the product, although a couple of options are provided for expert users. You have to register the product at the end of the process. Security status: This is shown in the main window. Update: to run a manual update of the malware definitions, you need to use a separate Quick Heal program called Quick Update. 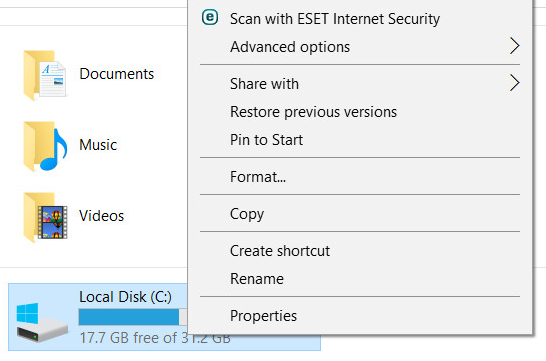 You can find this in the Windows Start Menu/Screen under All ProgramsQuick Heal Total Security. Subscription information: you can see this by clicking the Help menu in the top right-hand corner of the window, then About. The protection can be reactivated by clicking Resolve Now. The alert closes automatically after a few seconds. You do not need to do anything. If you should download a potentially unwanted program, this will also be deleted and a similar alert shown. There is also an FAQ page on the vendor’s website. 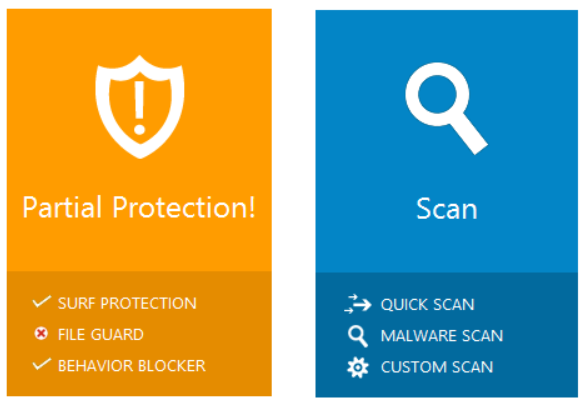 Sophos Endpoint Protection includes an optional replacement firewall in addition to malware protection. For full details of all the features included in the product, please click the link to the product’s web page below. Sophos Endpoint Security and Control is well suited to its target business environment. Sophos Endpoint Security and Control is designed for use in businesses environments where it is managed from a central console. Consequently, it may differ from typical consumer security products in some aspects of design and usage. Running the installer file initially unpacks the installation files into a local folder. The setup wizard then starts. There are a few options but no decisions have to be made, default options can be left as they are. Security status: this is shown in the status panel in the top left-hand corner of the program window. 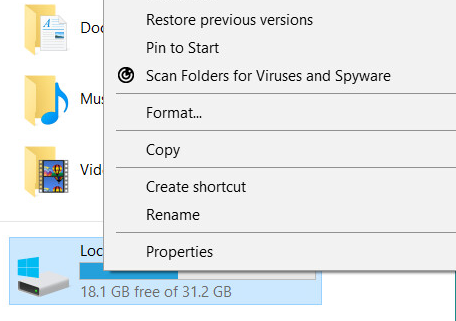 Update: Malware definitions can be updated manually by right-clicking the System Tray icon, then Update now. Subscription information: this is not shown. Help: there is a Help button in the toolbar. The alert is shown for a few seconds. You do not need to take any action. 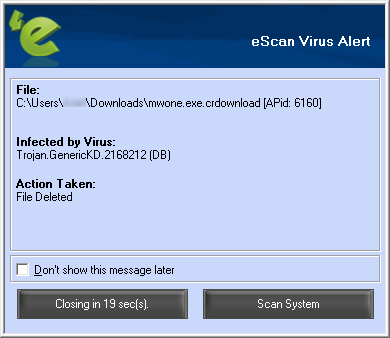 A similar alert is shown when a potentially unwanted program is detected. A knowledge base is also provided on the Sophos website. This is not stated by the vendor, but Tencent PC Manager worked flawlessly on our Windows 7 and Windows 10 64-bit test systems. 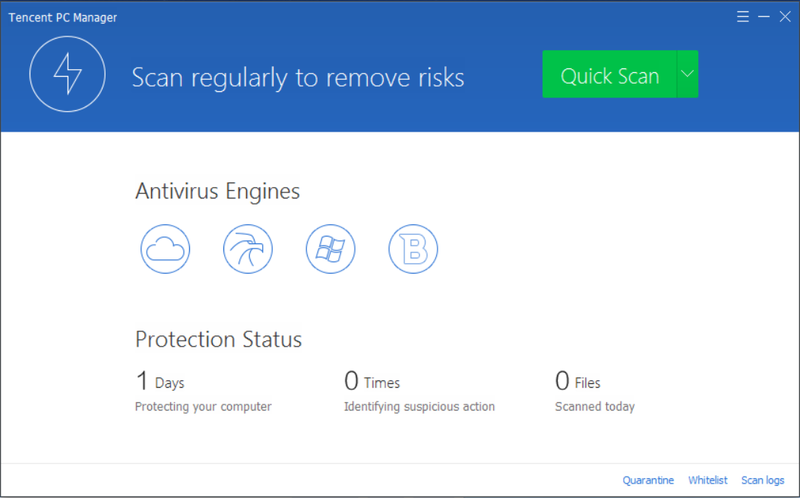 PC Manager is a straightforward antivirus program. Installation of the program is very quick and simple, and the program itself is extremely easy to use. Malware alerts are very obvious, and are displayed until you close them. The nature of the program means that it is probably better suited to expert users than the average home user. There is no help feature – something non-expert users might well miss; additionally, the status display is not part of the main program window, and does not produce any kind of alert if protection is disabled. During our tests, we noticed that Tencent does not scan files while copying but only if they are executed or downloaded via a supported browser. To install Tencent PC Manager, you just need to download and run the installer from the vendor’s website. There are no decisions to make. Scans: There is a Quick Scan button in the top right-hand corner of the program window. Clicking the arrow to the right of this lets you run a full or custom scan instead. Help: we could not find any help or support features. The alert is shown until you click I know. You do not need to take any action. A similar alert is shown for potentially unwanted programs. We could not find any help or support features. 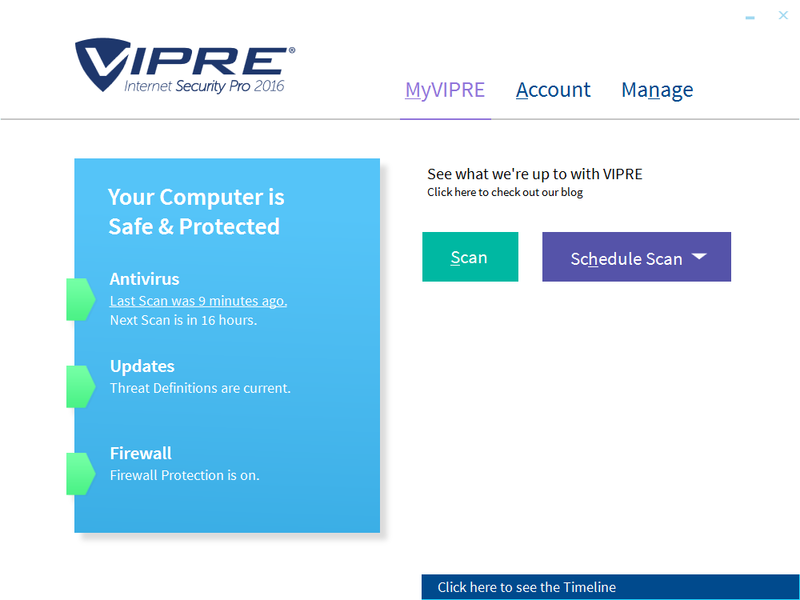 As well as malware protection, VIPRE Internet Security Pro includes a replacement firewall. For full details of all the features included in the product, please click the link to the product’s web page below. The most important features are shown on the home page, and the user interface is very clean and modern. The minimalist design of the program’s home page means that it is not always clear where to find some features (e.g. help). However, clicking on the tabs MyVIPRE (=home), Account and Manage at the top lets you locate all the features and functions on these pages. 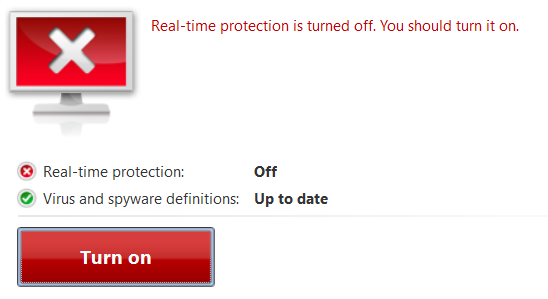 The alert in the status display when real-time protection is turned off is rather subtle, so you should check carefully to see that all is well when you open the program. Updates: there is an Updates button in the main program window. Subscription information: you can see this by clicking on Account at the top of the window. Help: this can be found by clicking Manage, VIPRE Help. The alert closes after a few seconds. You do not need to take any action. A Similar alert is shown for a potentially unwanted program. The Support Center link opens the program’s support pages on the vendor’s website. 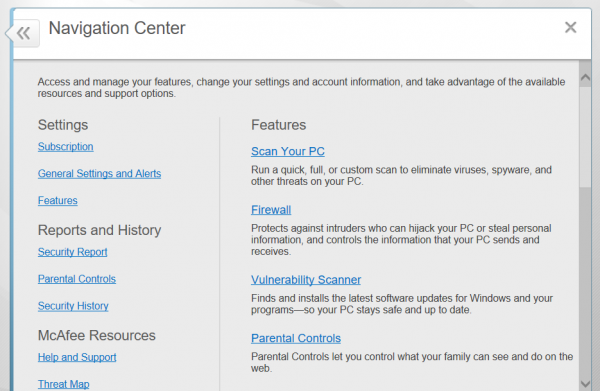 In addition to malware protection, Trend Micro Internet Security provides parental controls. For full details of all the features included in the product, please click the link to the product’s web page below. The program window is simply and cleanly laid out. The malware and status alerts are very clear, and persist until you actively close them, meaning you have time to read them. After you download the product, a web page is displayed that includes a video showing how to install the product. 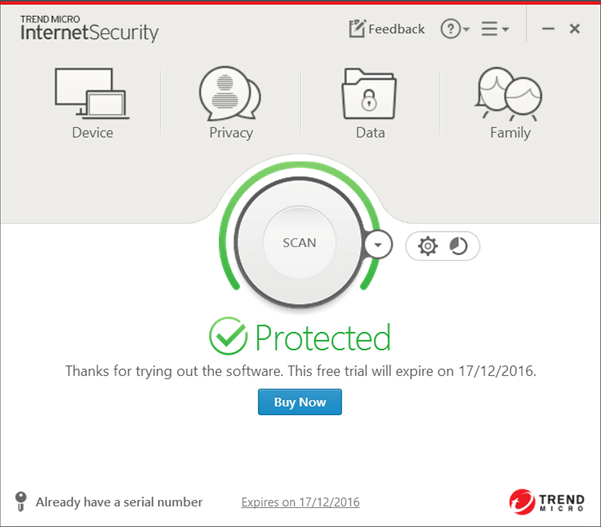 To install Trend Micro Internet Security, you just need to download and run the installer file from the vendor’s website. There are no decisions to make. 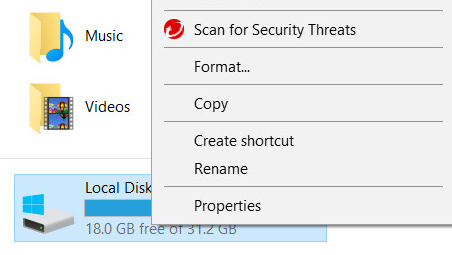 When setup is complete, a wizard runs that explains ransomware and lets you choose a folder to protect, so that ransomware cannot change the files within it. 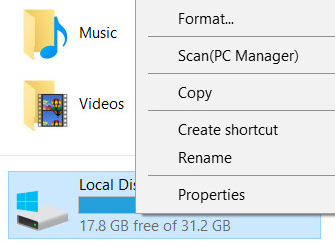 The Windows Documents folder is suggested, although you can change this to any folder you want. 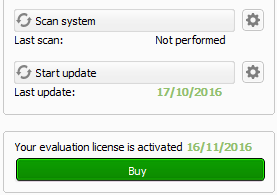 Subscription information: this is shown below the status display in the middle of the window. Help: clicking the ? symbol at the top of the window, then Product Support, opens the program’s support pages on the Trend Micro website. The message box is shown until you click OK. You do not need to do anything. 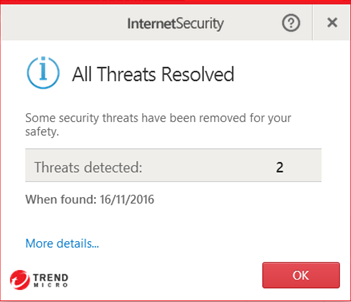 If you should download a potentially unwanted program, Trend Micro takes the same action as for malware. The support pages provide a searchable FAQ. The following is provided to help non-expert users understand the terms we have used in this report. It is by no means a complete or detailed dictionary of security-related terminology. 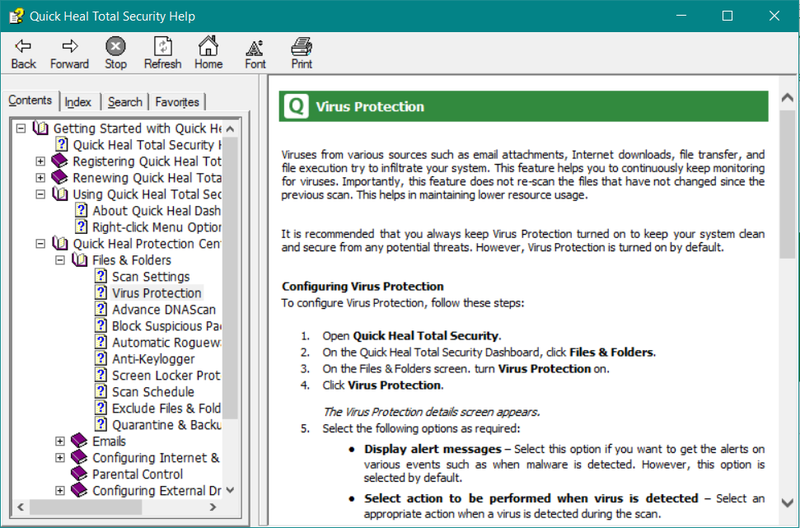 Antivirus program: an application that protects your computer against malicious programs (malware). 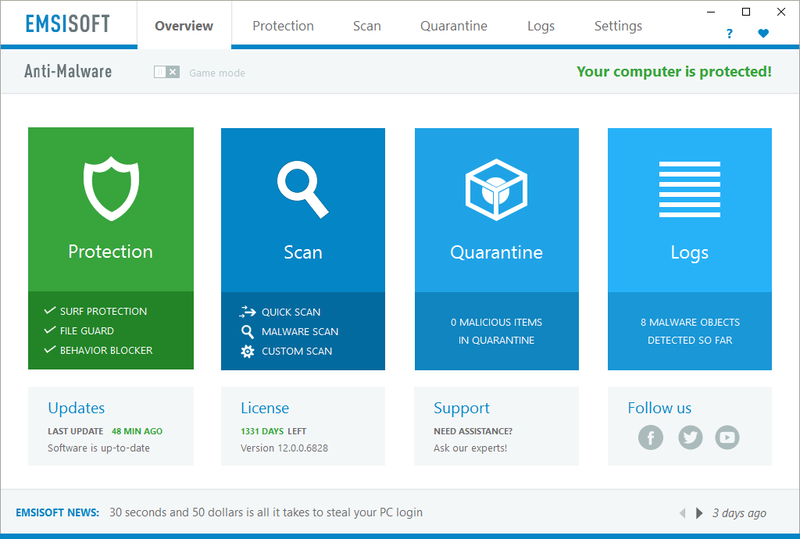 These days, antivirus programs guard against all types of malware, including worms and Trojans. Application/App: a piece of software that carries out a specific task, e.g. Microsoft Word, Mozilla Firefox, Apple iTunes. Download: to copy a file (e.g. picture, music track or program installer) from an Internet server to your computer, usually by clicking on a link in a web page or email. Firewall: a program (or physical device) that controls communications between your computer the Internet or local area network. Amongst other things, it helps prevent hackers from gaining access to your PC. 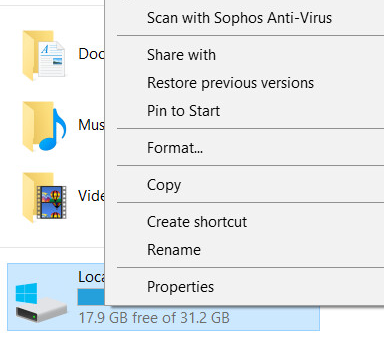 Install: to make a new antivirus program/security suite work on your computer, the program file that you have downloaded or got on CD-ROM has to be run; this registers and activates the program on your system, and provides shortcuts with which you can open its main window. Internet security suite: an antivirus program that includes additional features such as a firewall. 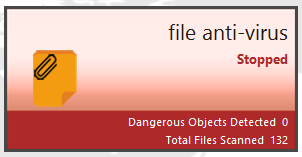 Logs: a feature of antivirus programs that keeps records of malware detections, scans run, and updates received. Mail protection: a feature of antivirus programs which scans incoming email for malicious attachments or links and blocks any it finds before you can access them. It is only relevant if you use an email program such as Windows Mail, Thunderbird or Outlook. It does not apply if you access your email using a browser (e.g. Internet Explorer, Edge, Chrome, and Firefox). 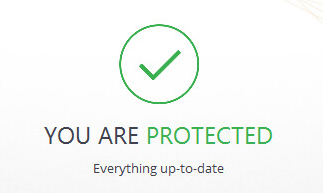 However, in this case other features of the antivirus program will still protect you against threats in emails. Malware: any type of clearly malicious software which can e.g. damage your computer, allow hackers to remotely control it, or steal personal data. Viruses, worms and Trojans are all examples of malware. Malware definitions/malware signatures: information about malicious programs (malware) which is used by antivirus programs to detect threats. Phishing: a means of stealing usernames, passwords and other security-related information used to access e.g. Internet banking websites. This is done by tricking the user into going to a fake copy of the website and entering the necessary security details to log on, allowing the criminals to steal these. Potentially Unwanted Application (PUA): a program which is not malware (clearly malicious) but which some people would nonetheless not want to have on their computers. PUAs include adware (which may e.g. change your home page without asking permission), and legitimate programs (e.g. for remote control) which could be misused by hackers for criminal purposes. Quarantine: when antivirus programs detect a file on your computer that is believed to be malicious, they can store it safely in quarantine so that it can be further analysed without posing a threat. 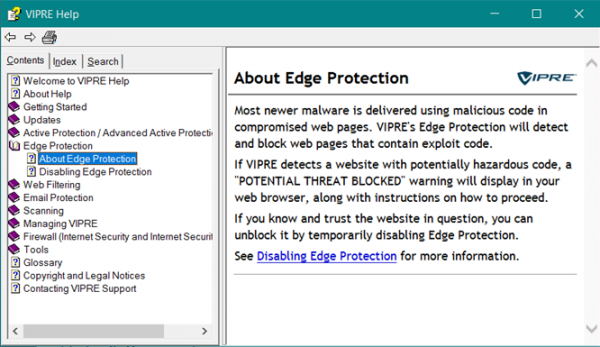 Real-time protection: a feature of antivirus programs which constantly watches for malicious programs (malware) entering your computer via e.g. the Internet, local area network or USB stick. 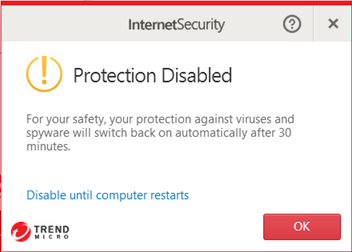 If real-time protection is disabled or malfunctions, the computer is effectively unprotected during normal use. 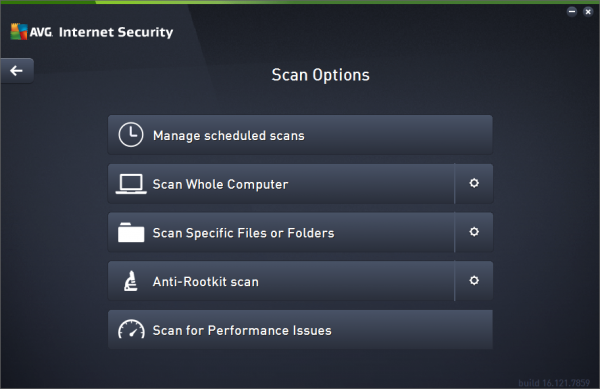 Scan: a feature of antivirus programs, which actively searches your computer for malicious programs (malware). 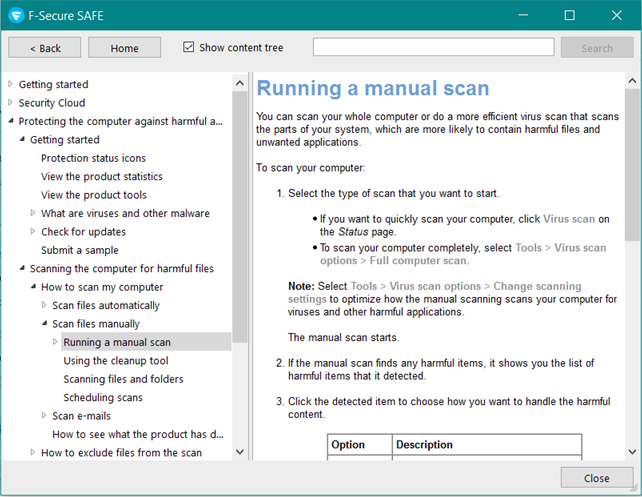 Most antivirus programs allow the user to scan the entire computer, or just a specific area, such as a USB stick. NB: some antivirus vendors may use the term on-access scan to mean real-time protection. Scheduled scan: a computer scan which is set to run automatically on a schedule, e.g. every evening at 10pm. Trojan: a malicious program (malware) which tricks the user into running it, by pretending to be a legitimate program such as a game. Update: a feature of antivirus programs which allows them to get the most recent information over the Internet. The term is usually used to mean updating malware definitions, but can also mean updating the antivirus program itself. Virus: a specific type of malicious program (malware). The term may be used by some people to mean any or all types of malware, although this is not technically correct. Web protection: a feature of antivirus programs which helps protect you against threats from web pages. It can block e.g. phishing pages and sites known to distribute malicious programs (malware), and detect and block any inadvertent downloads of malware before they reach your computer. Windows Administrator Account: an account (name that you log on with) that gives you complete control of the computer, and lets you e.g. install and uninstall programs. Windows Standard User Account: an account (name that you log on with) that allows you to change your own personal preferences, but not change system settings or install/uninstall programs. Windows Vista, Windows 7, Windows 8/8.1 and Windows 10 include both the Windows Firewall, and a program called Windows Defender that provides basic protection against malicious/unwanted programs. We test Microsoft’s “out-of-box” protection in our Main Test Series, to help readers decide whether installing a third-party antivirus program could provide more effective protection.